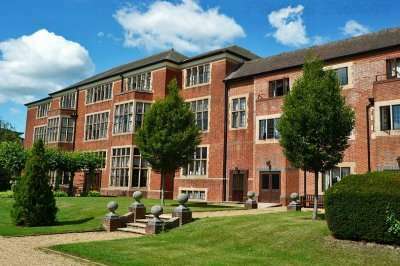 Situated in the beautiful town of Ware in Hertfordshire is the five-star Hanbury Manor Marriott Hotel and Country Club. This luxurious 17-century house is set within 200 acres of parkland and boasts everything that you could need or want to have a fantastic golf break including its own PGA Championship golf course. The par-72 championship course was designed by Jack Nicklaus and is a great test of golf for those of all abilities. When you are not out enjoying a round of golf on the fantastic championship course, you can spend time relaxing in the spa or working out in the fitness centre. The spa boasts a range of indulgent treatments including massages and facials and you can also relax in the steam room. The leisure club boasts an indoor pool as well as gym equipment and free fitness classes. Not only does this hotel have so much to offer its guests in terms of facilities within the hotel but its location means that there is also so much to do and see in the local area. You can spend a day at Lee Valley Park where there are always activities and events going on or you can visit Hatfield House which was the site of a former Henry VIII palace. For your next golf escape to Hertfordshire, look no further than the luxurious Hanbury Manor Marriott Hotel and Country Club. Packages from £137pp. PLUS 1 x free in 12. Terms & Conditions apply. 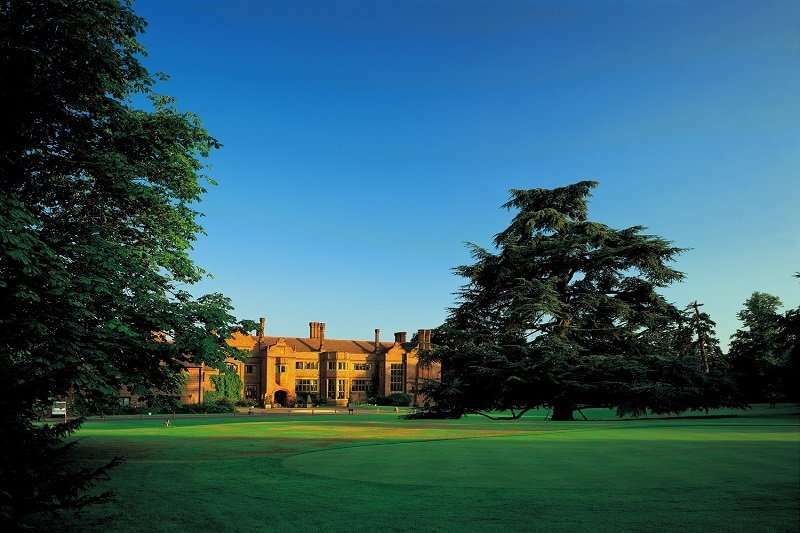 Situated in the perfect location for a relaxing country retreat is the Hanbury Manor Marriott Hotel and Country Club. This resort hotel was built upon land that once housed some of England’s most important historical figures and has been rebuilt in the Jacobean style. The hotel boasts many beautiful features including open fireplaces, wood-panelled libraries and unique furnishings. Each of the guestrooms within the hotel is decorated beautifully which are all fitted with all of the facilities and amenities that you would expect from a hotel of this standard including a flat-screen TV, tea and coffee making facilities and plush linen. There is also Wi-Fi access and large windows within the rooms from which you can see out across rolling Hertfordshire countryside. You can also choose to upgrade your stay to one of the hotel’s generous suites. Within the hotel there are three fantastic bars and restaurants and there are several more in the local area. Within the hotel, there is the Cast Iron Grill which serves traditional dishes for breakfast, lunch and dinner. The Oak Hall and Cocktail Bar boasts a Jacobean design and here, you can sip your favourite cocktail by the fireplace and enjoy a light lunch or a traditional afternoon tea. Last, but not least, is Vardon’s which is located within the golf clubhouse and boasts all day dining in a sports bar setting. Within the local area, you have a great Indian restaurant, Italian as well as several gastropubs. With exciting golf, a wonderful location and everything that you could need, choose the Hanbury Manor Marriott Hotel and Country Club for your next golf break.